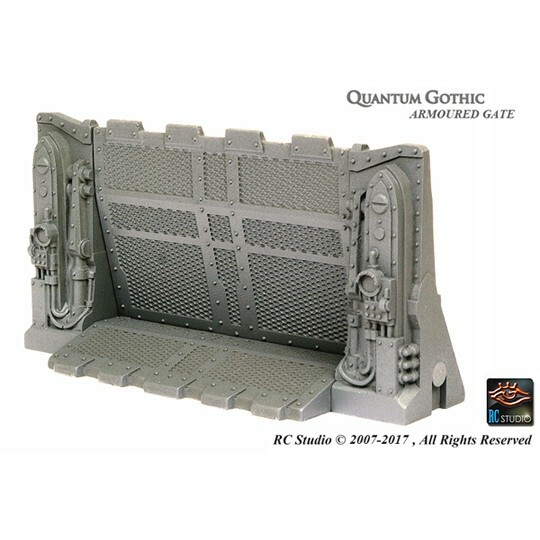 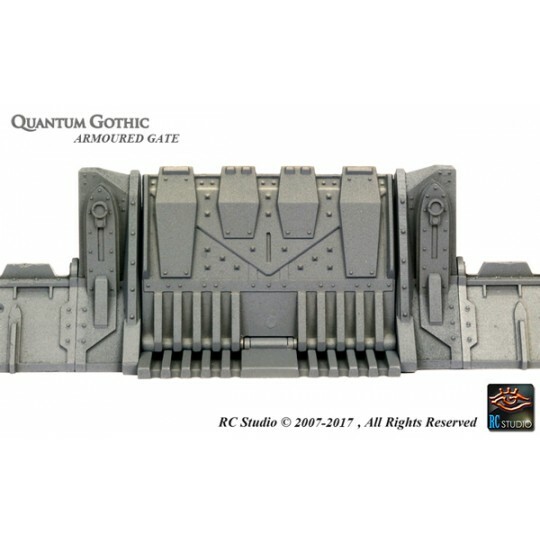 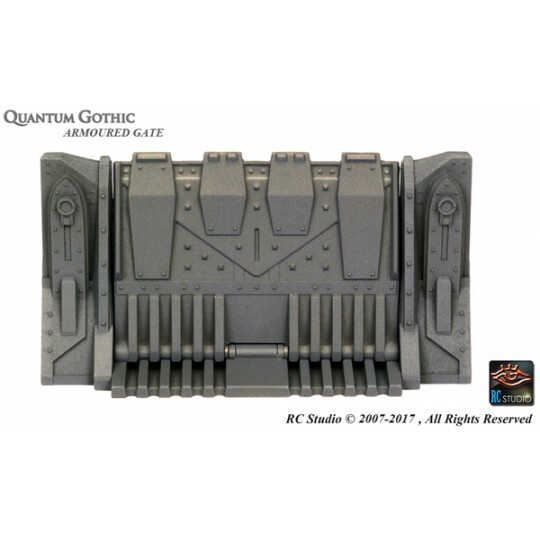 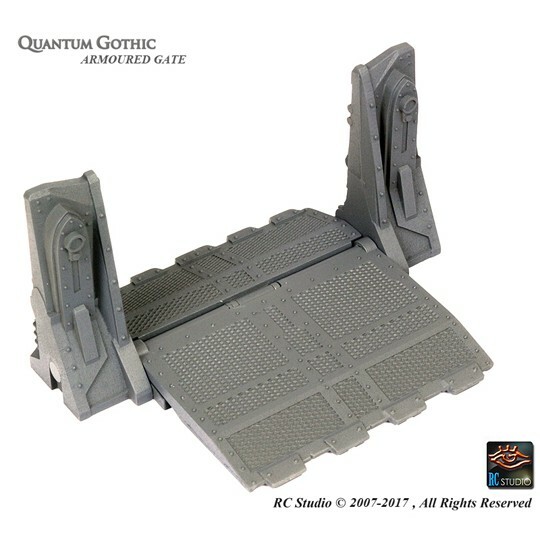 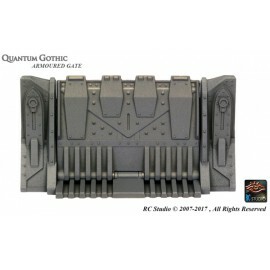 Armoured Gate Main Module kit - 4 parts kit - Includes magnets already fitted - unpainted. 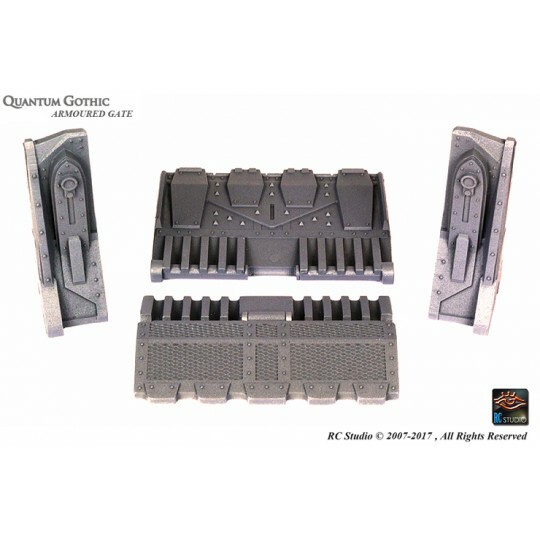 Gluing Not necessary - All parts are fitted with magnets which will hold the module correctly into place and also facilitate future extensions and storage. 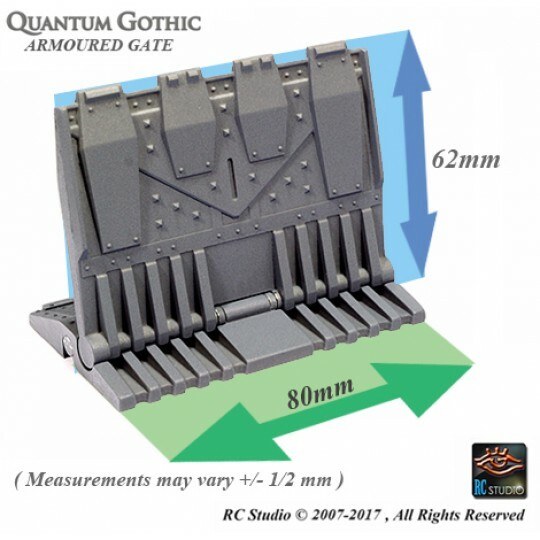 Each section measuring Approx ( +/- 0.5mm ): Total Length ( including side pillars ) 119mm - Gate width ( opening ) 80mm/ H 63mm.